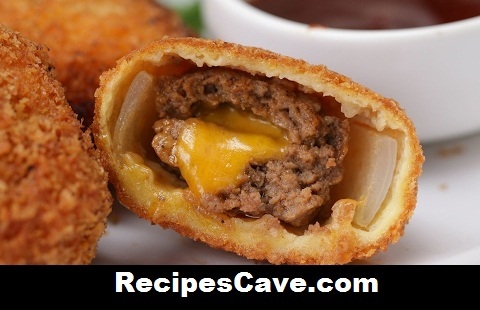 BBQ Cheeseburger Onion Rings Recipe - Follow simple steps how to cook BBQ Cheese Burger easily. Slice onions into ½-inch thick slices. Take the outer layer off and separate each layer of the rings. Dredge the onion ring and fry in oil heated at 325°F/160°C for 3-5 minutes or until fully cooked and golden brown. Your BBQ Cheeseburger Onion Rings Recipe is ready to taste.